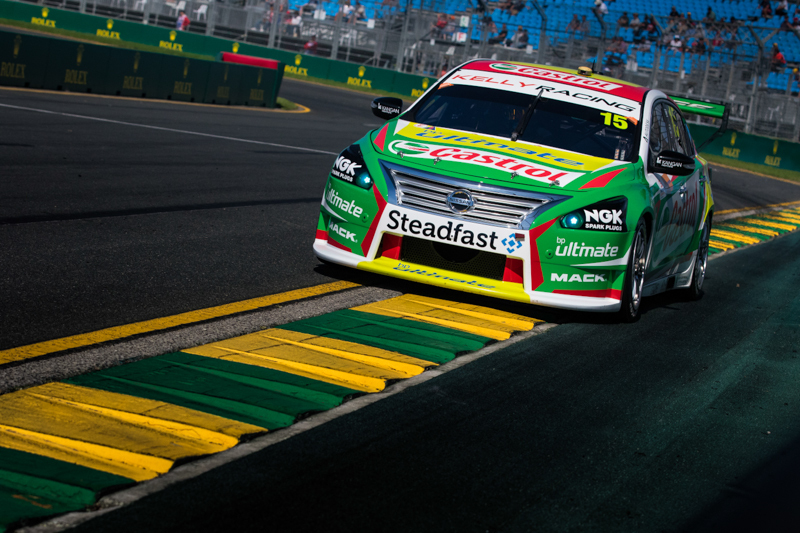 Andre Heimgartner and Rick Kelly were the best of the Kelly Racing drivers as the team rolled out on the Albert Park circuit in qualifying for Races 3 and 4 of the Virgin Australia Supercars Championship today. Plus Fitness Racing driver Heimgartner and Castrol Racing’s Kelly shared 15th and 17th respectively for the first qualifying session, before reversing that order for the second. Team Harvey Norman driver Simona De Silvestro battled rear grip issues to finish 20th and 21st in the two qualifying sessions, while RABBLE.Club’s Garry Jacobson was 21st and 22nd as the Victorian rookie competes in his first Supercars event at the Melbourne street circuit. Qualifying for Races 4 and 5 will be held tomorrow (1:50pm and 2:10pm local time), ahead of the first 25 lap race of the Beaurepaires Melbourne 400 at 5:55pm.